Before going to live in Tokyo, I didn’t know about Yakiniku. 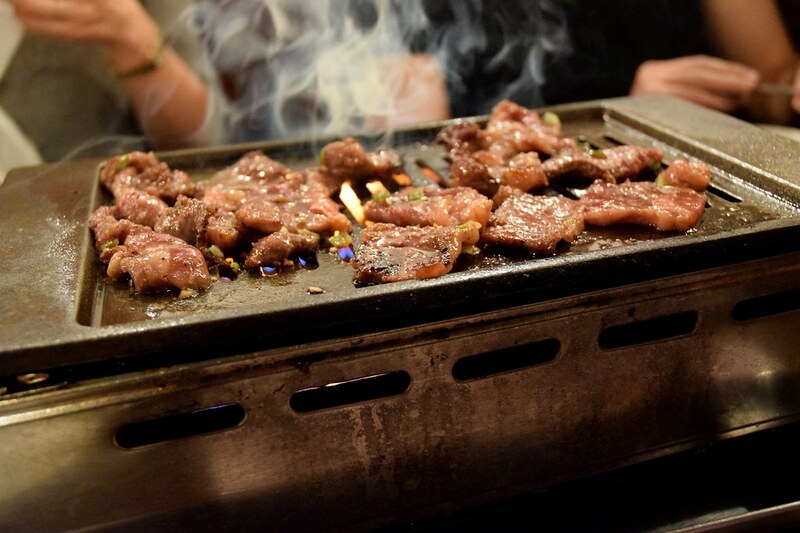 Once I started socializing and exploring the many restaurants and local food, yakiniku restaurants became a must do when going out for dinner with friends. When asked by the things I miss from living in Japan, food is often on the list, and specially, yakiniku. Here’s a quick guide to go through dinner at yakiniku restaurants. Gas style grilled meat, Yakiniku. 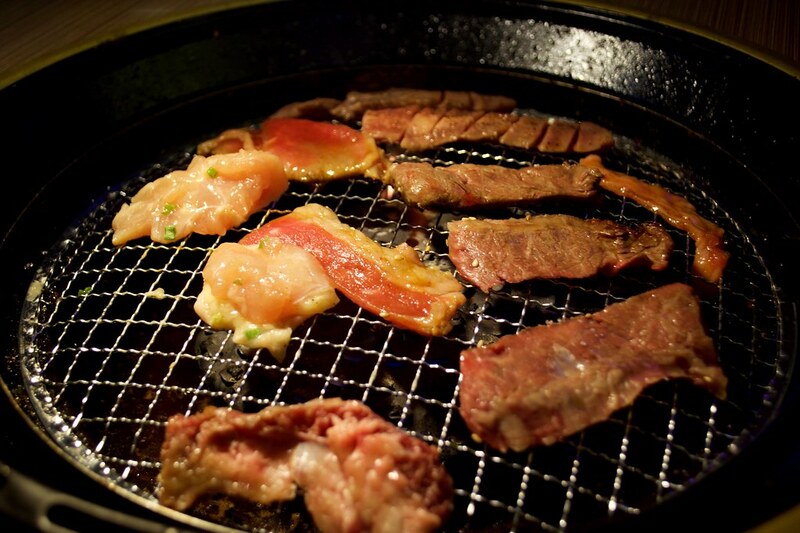 Yakiniku means “grilled meat“, hence the main reason to be of any yakiniku restaurant. This type of restaurant was started by korean residents in Japan during the last century, and adapted it to japanese tastes. Many of the Yakiniku restaurants are located in lively districts, and also in korean popular districts, like Shin Okubo in Tokyo. Another feature of many yakiniku restaurants is the all-you-can-eat deal. Within a limited time, between 90-120 minutes, and a fixed price, you can enjoy as many plates as you wish. It also goes with all-you-can-drink options. Deals and prices vary from menus and restaurants, and it’s better to decide on wich plan to take before ordering anything. 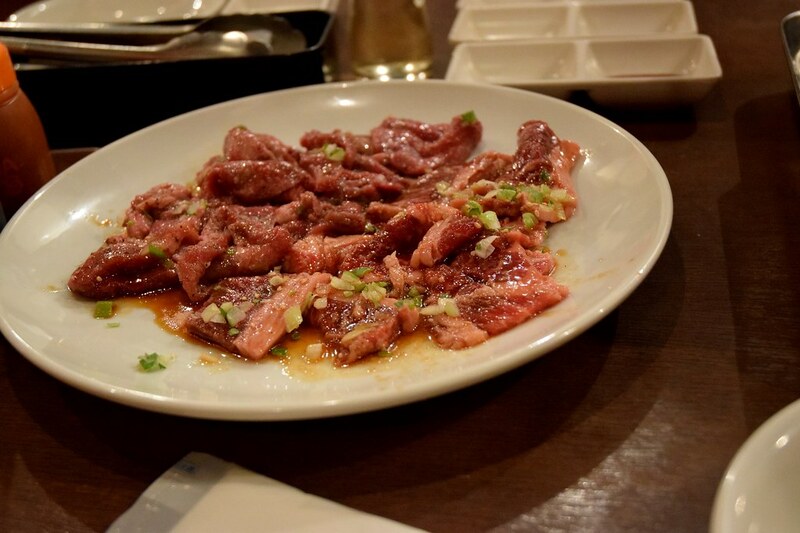 Another style of Yakiniku created in Japan is the Jingisukan (Genghis Khan) originated in Hokkaido, and it’s feature is the mutton meat instead of pork or beef. 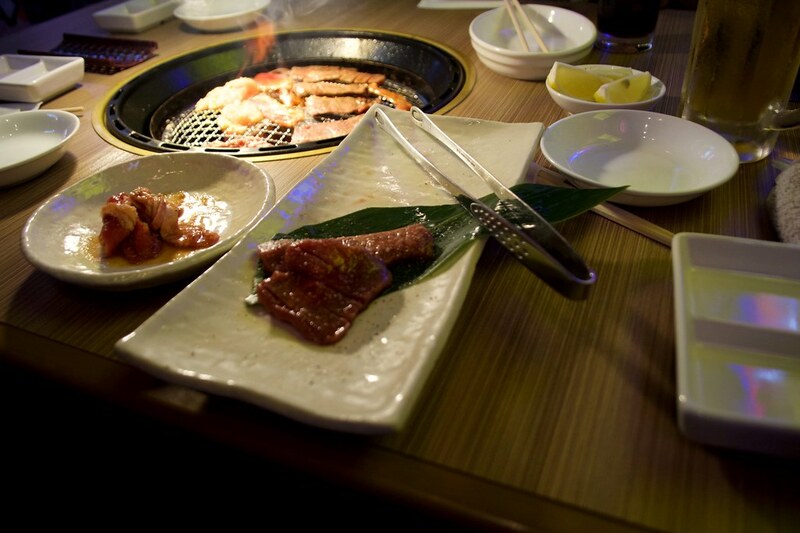 At Yakiniku restaurants, the grill is normally placed or installed in the center of the table. Order as many plates from the menu at Yakiniku all-you-can-eat restaurants, for a limited time. PDA to order from the many options on the menu. Much enjoyable with a group of friends. Teamwork is the key here. 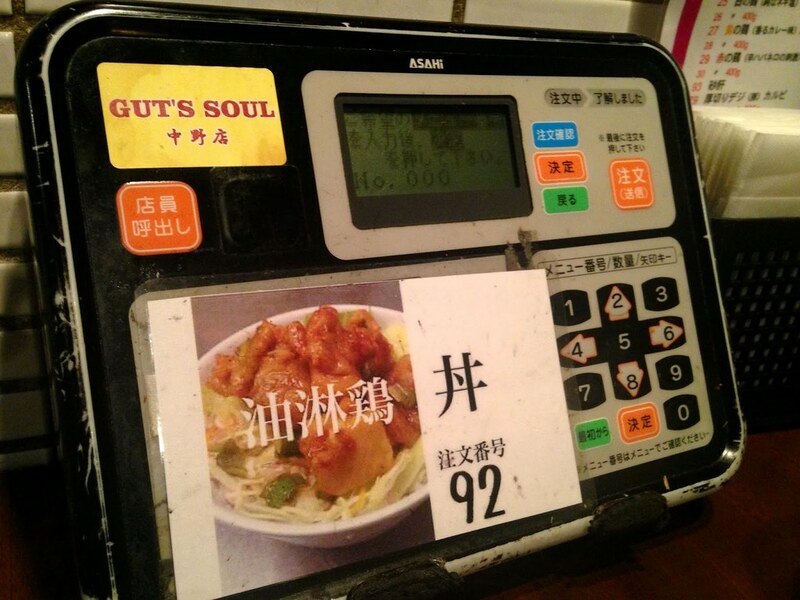 Someone takes the menu and the PDA (if there’s the system in the restaurant) and places the orders. The second in command takes the grill, usually the veteran of the group, and distributes the food. Changing roles is important too, so everyone can eat to their hearts content. On first experiences, it might become a war to become the Yakiniku master, as the group is not coordinated. 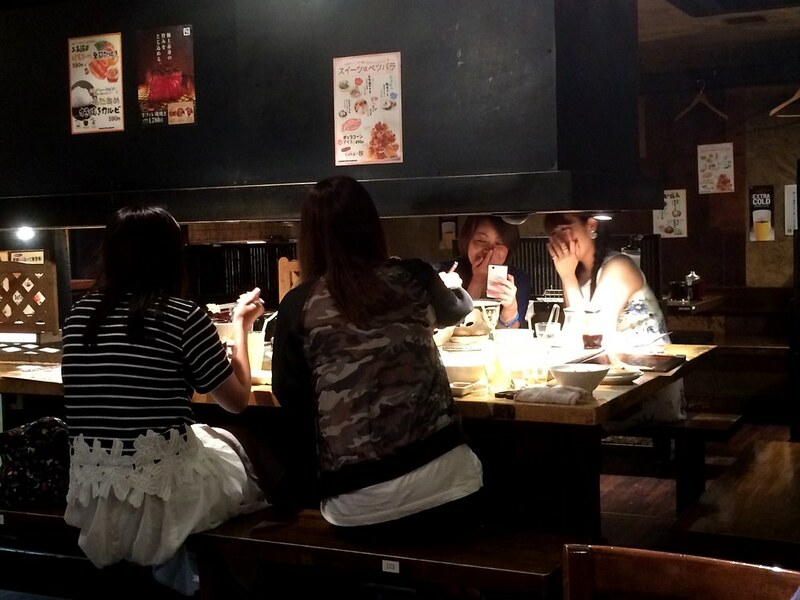 Common tables with grills installed, you can even make new friends at Yakiniku restaurants. 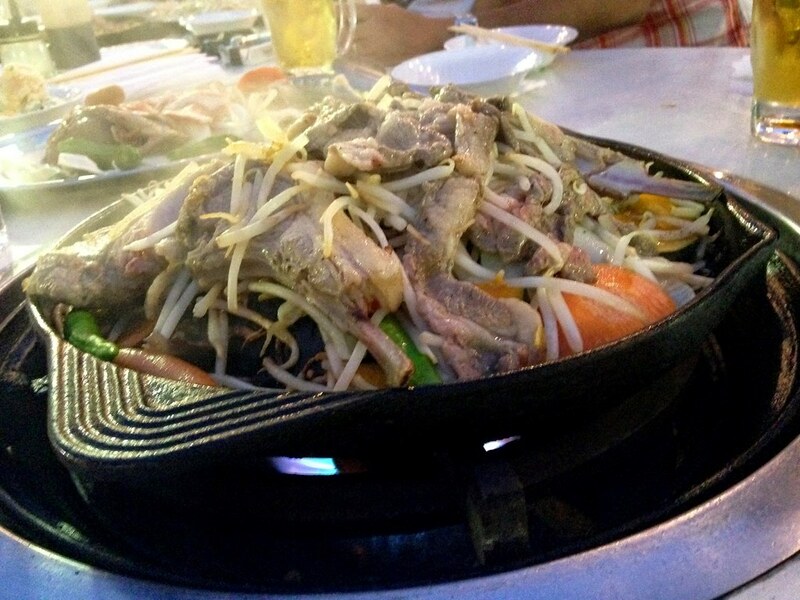 Charcoal grilled meat has an even more special flavour. Have you ever tried Yakiniku, or any restaurant recommendation? Feel free to leave a comment with your thoughts. 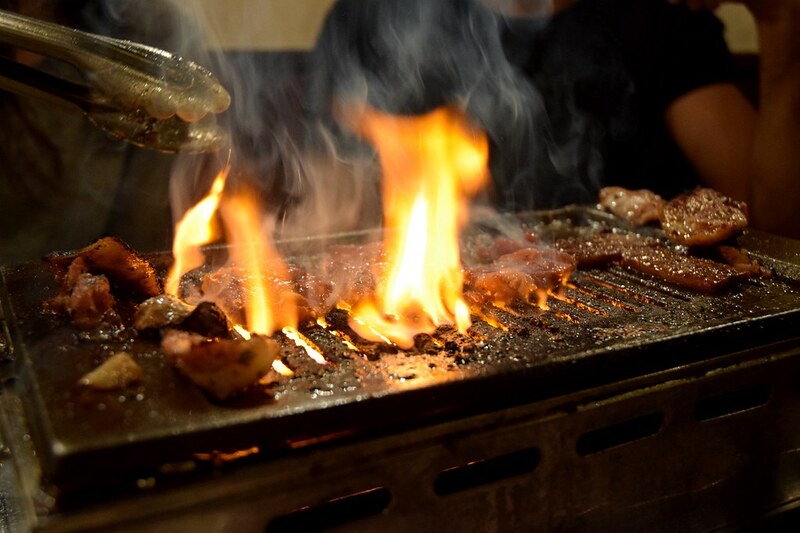 Bringing up the flames at Yakiniku restaurant.